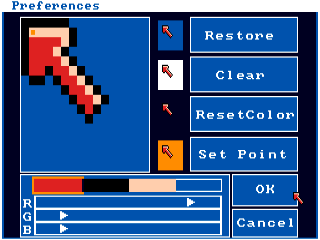 And interesting feature of the Workbench control panel is that you can edit the appearance of your mouse pointer. Like any good OS or GUI, Workbench includes common printing ability. 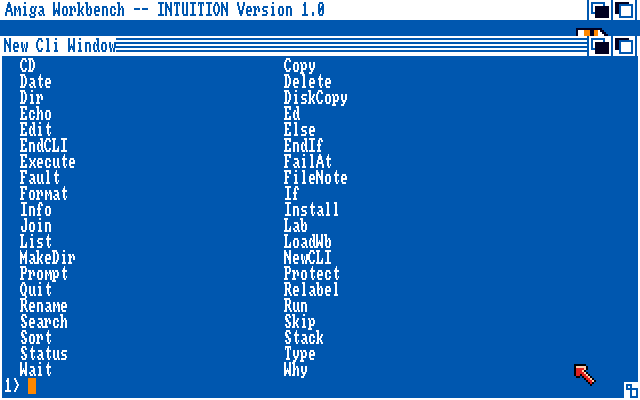 The OS also includes a command line interface. 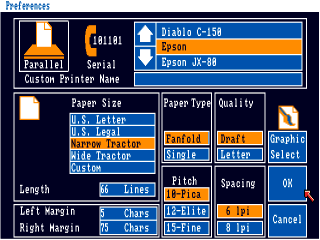 Another unusual feature is that Workbench can display a "split screen" between its desktop and full screen applications. You drag the bar at the top down, and the desktop covers the bottom part of the application. 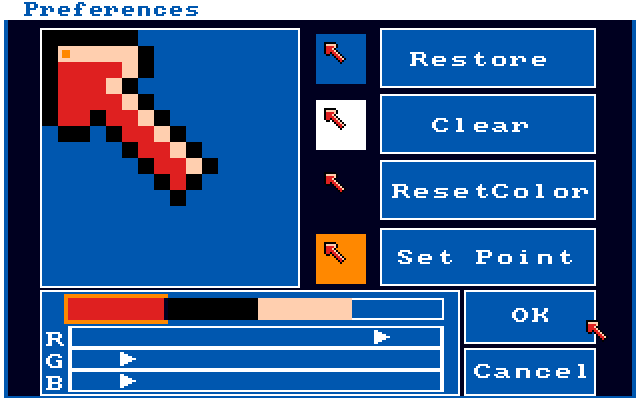 Off hand I couldn't find an example that uses this for Workbench 1.0, so this screen shot is of 1.3. 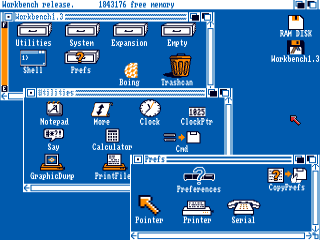 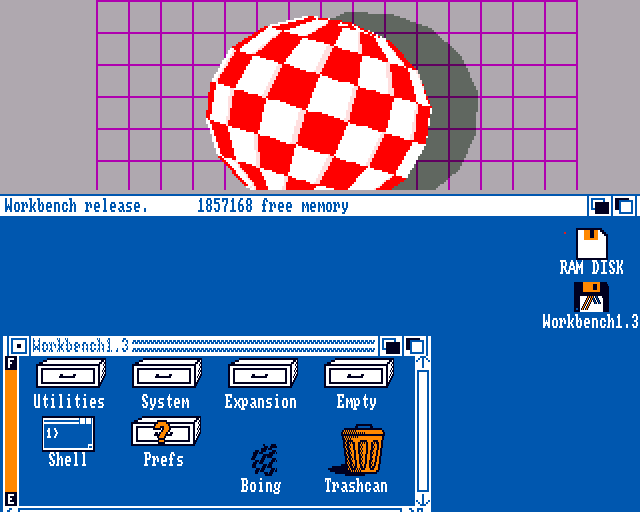 It has slightly different icons, a few more utilities, a few more preferences, and a RAM disk. 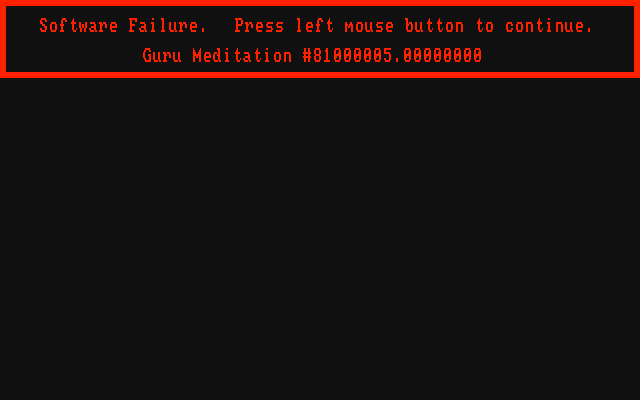 When the OS or an application crashed, it displays the infamous "Guru Meditation" error. 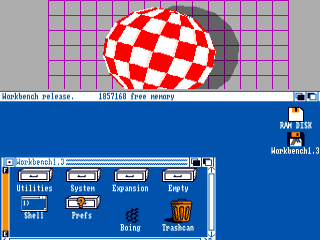 To shut AmigaOS down, you flip the power switch.